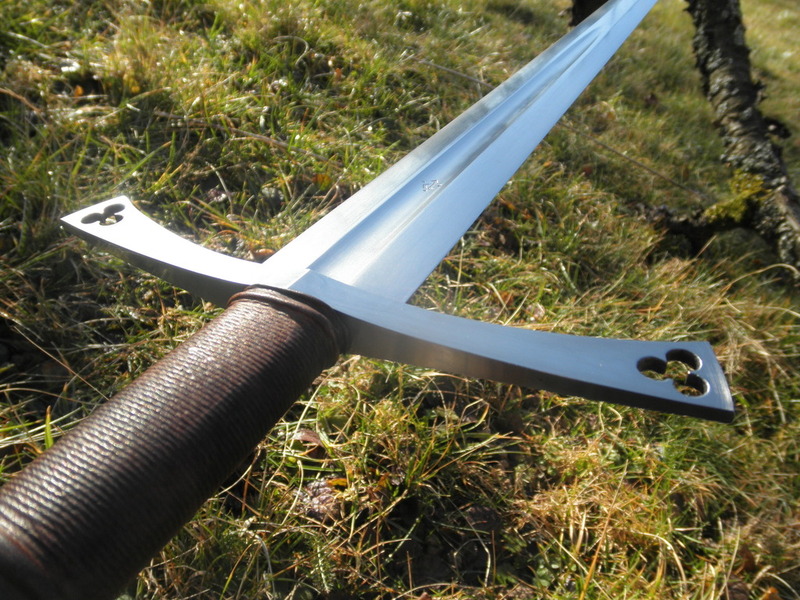 The Albion Landgraf is a type XVII sword, a type that was quite popular during the mid 14th and early 15th century. At the same time, plate armor was developing to be at its most massive and these swords are characteristically well suited to deal with heavily armored foes. Despite being popular in period, this sword type is very rarely reproduced nowadays (guilty myself there). That is indeed a shame because these are beautiful and quite complex swords. Albion makes two versions that share the same blade, the Landgraf and the Sempach. I only have experience with the Landgraf but imagine that most if not all my findings apply to the Sempach as well. 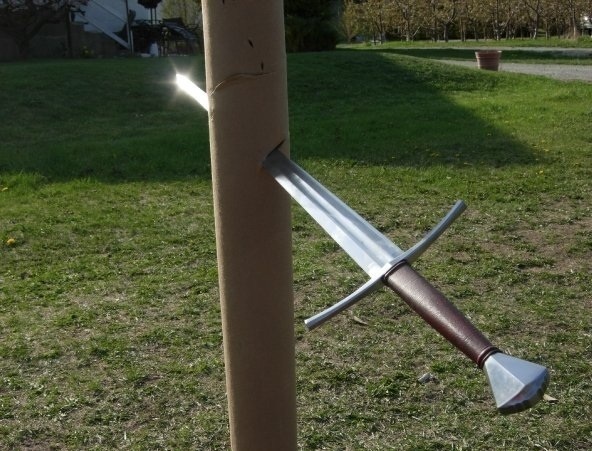 This is a very attractive sword. It has clean, harmonious lines and curves, as well as some nice detailing such as the trefoil cut-outs in the guard and the cross on both faces of the pommel. Another nice touch is the oval shape of the pommel, it‘s not round but rather a „squished“ wheel pommel, which is not something done often on replicas. The overall finish is quite good, I‘ve seen worse from Albion. The blade is considerably complex and well executed. The fuller is precisely ground, as is the hexagonal blade geometry. The edge it came with was clean and of good sharpness, again, I‘ve seen worse from Albion. I got nothing to nit-pick, really. Now this is where it gets interesting. The „general“ consensus on this type of sword, or at least what I thought of it, is: really thrusting-oriented with only moderate cutting ability, intended to pry a guy out of his armor or otherwise bash him around. 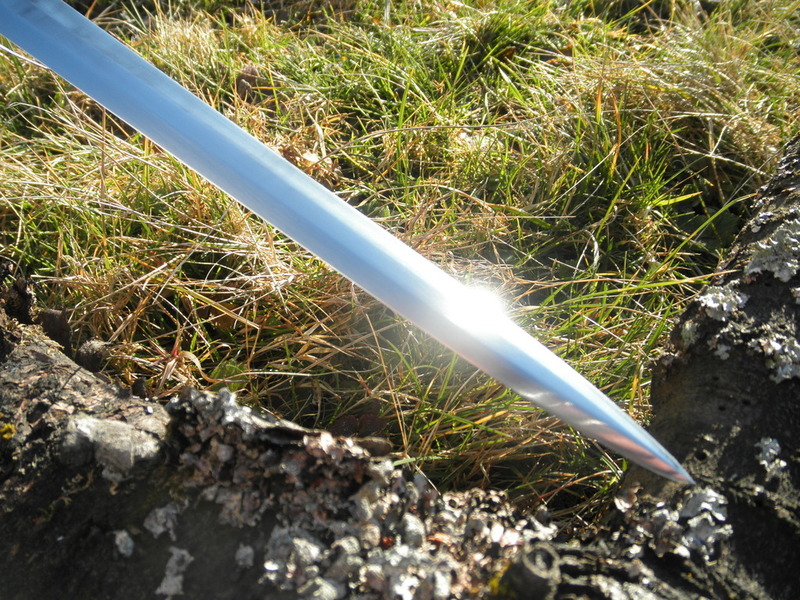 Oakeshott is quite famous for disliking this sword type, sometimes discribing it as boring, heavy and clumsy. Well, I was very positively suprised by the sword. It handles excellently, with good blade presence but great point control, both agile and powerful in hand. As suspected, it is a good thrusting sword with a very stiff blade and a slender, sturdy tip. It also is, and this is what I was most surprised by, a good cutter. Not just a good cutter for a thrust-oriented sword but objectively a good cutter, period. And not only far away from the point but it cuts quite happily (almost) all the way to the tip. It is a bit picky regarding edge alignment but the wide pommel (that can comfortably be gripped, at least by me, I don‘t know why other reviews mention it as „ungrippable“) really helps with that. 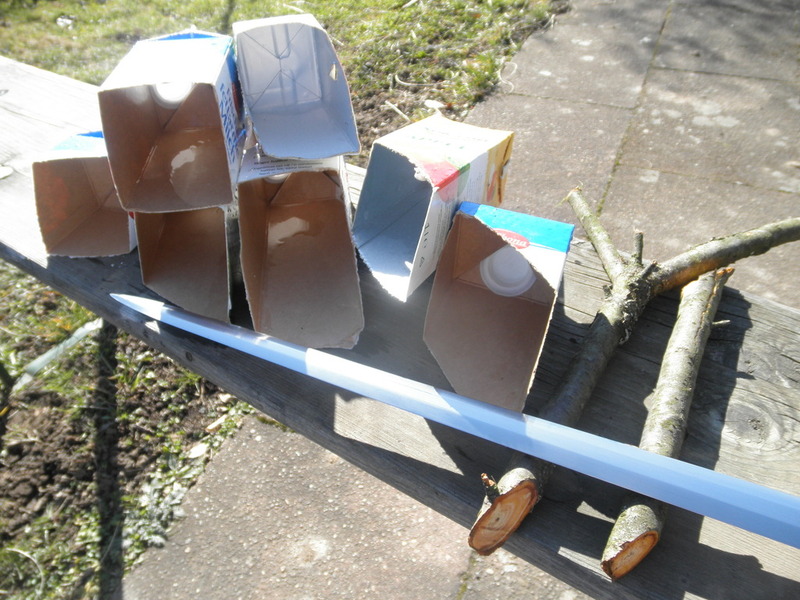 The sword did well on light targets (water filled milk cartons) as well as heavier targets (branches). Especially the performance on light targets surprised me, I expected a blade of such little width and a hexagonal cross section on top of that to really struggle with targets where an acute and sharp edge is needed. To demonstrate this swords cutting ability, here‘s a short video. I apologize that the camera‘s focus isn‘t perfect. Overall, this may be the most versatile longsword I‘ve used so far. It out-cuts most comparably slender swords (it pains me a bit to say it but yes, it cuts considerably better than my Albion Munich). 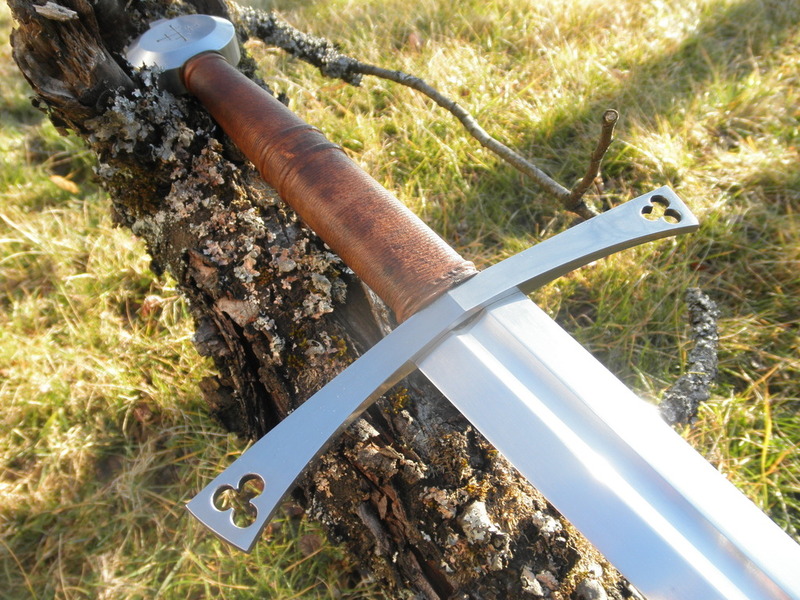 It does not cut as effortlessly as a wide-bladed XII, XIII or XVIII but it makes up for that by thrusting worlds better than any of those as well as having a more sturdy and durable blade. It‘s not hard to find a sword that performs well in both cut and thrust against soft targets. It‘s much more difficult to find one that cuts well on soft targets yet works excellently against a heavily armored opponent as well. The Landgraf is such a sword. If there was one thing I could change about this sword, it would be giving it a longer handle. I‘m just used to the long-gripped late longswords. 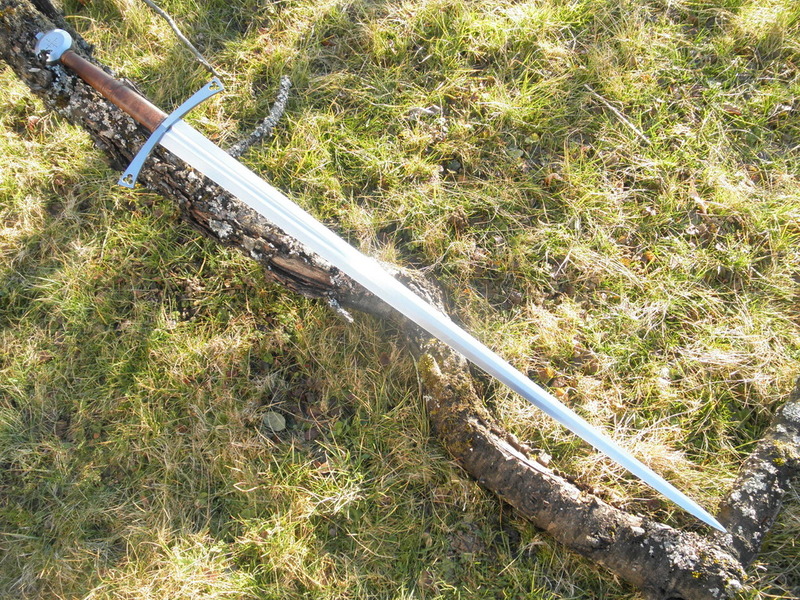 But for a handy, do-it-all longsword the Albion Landgraf is hard to beat and I‘m greatly enjoying having this sword. It has also taught me several things and opened my mind towards the attractiveness of this sword type. In other words: Highly recommended! Nice review. I feel that Type XVIIs are misrepresented to some degree by assertions that they cut poorly. Obviously, there will be differences in the depth that they can hew as compared to broader bladed swords, but as you have found they can cut surprisingly well. As an example, here's an old photo of a cut I did with my Sempach against the cardboard tubing at the center of a roll of carpet. If you have seen this kind of cardboard, you'll know that it's very thick and not an especially easy cutting medium. Despite this, you can see that I have managed to hew a couple of inches or so deep into the tube with a fairly flat angle cut; this was before I had learned that steeper cuts would cleave more deeply. Nevertheless, it's a good demonstration that Type XVII swords can cut against surprisingly difficult targets even with far from good form. I greatly enjoyed your review and fully agree with your observations (although I would have lacked the ability to describe them so fittingly). Such nicely fleshed-out reports are very valuable to someone looking for information on a particular sword type. The Sempach is pretty much my favourite longsword in my, admittedly small collection. However, I probably would never have bought it were it not for Craig's favourable review somewhere on this site that put to rest my fears of it being a subpar cutter (which it really isn't). I just need to learn how to sharpen mine properly! Could you give the grip length? Thanks for your input, guys. I'm glad you found the review helpful. Guillaume, the grip length is 18cm. Nice review. I have both the Landgraf and Sempach - the Landgraf was my first Albion, and I got the Sempach a few years later in a trade. 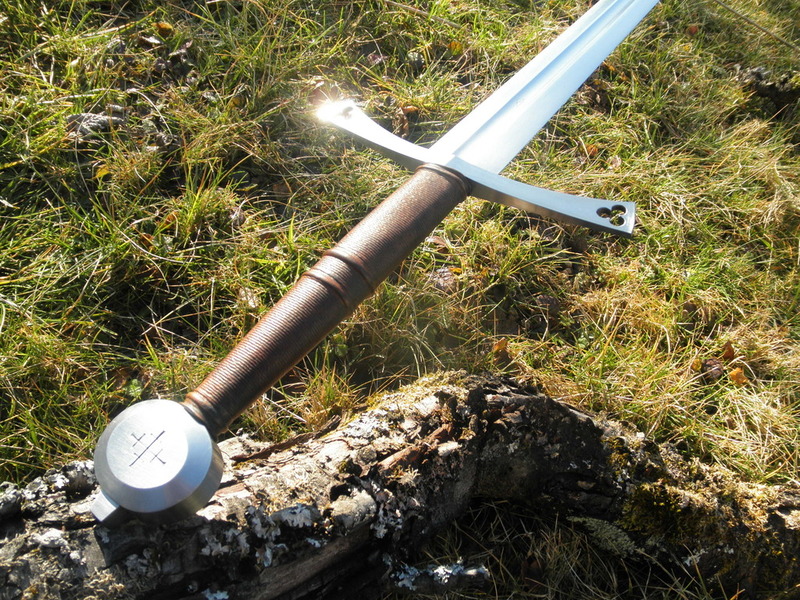 I think you would find that the Sempach would better fit your desire for a slightly longer hilt - due to the shape of the Sempach's pommel, I believe it would allow you to get a slightly better grip and provide that extra bit of leverage for your cuts. Another thing I notice when comparing the two is that the center of gravity seem to be slightly closer to the guard on the Sempach, and I find that I can control it a bit more easily with one hand than I can the Landgraf. Your mileage may vary, but that is my experience with the two. Thank you, I enjoyed the pictures and review. Although I tend to like broad bladed, single handed swords, there is something special about this sword. Albion also highlights it's cutting ability. By the way, Oakeshott did not hate all XVIIs; he praised at least some in 'Records'. I think Oakeshott called XVII's a boring type in general.. The two Albion XVII's are anything but boring. Interesting. This really seems to vary, some people find the Sempach to be balanced a bit further back, some the Landgraf. Albion states the PoB on the Landgraf to be a bit closer. I like the Landgraf's aesthetics more but it would be nice to directly compare both in hand. Nice review. I am waiting for my Sempach to arrive any day actually. And from what I've understood Oakeshoot found them "boring" because of the lack of diversity in hilt components. There were just 2 archetypes the "Sempach" family and the "Others" in the style of the landgraf. 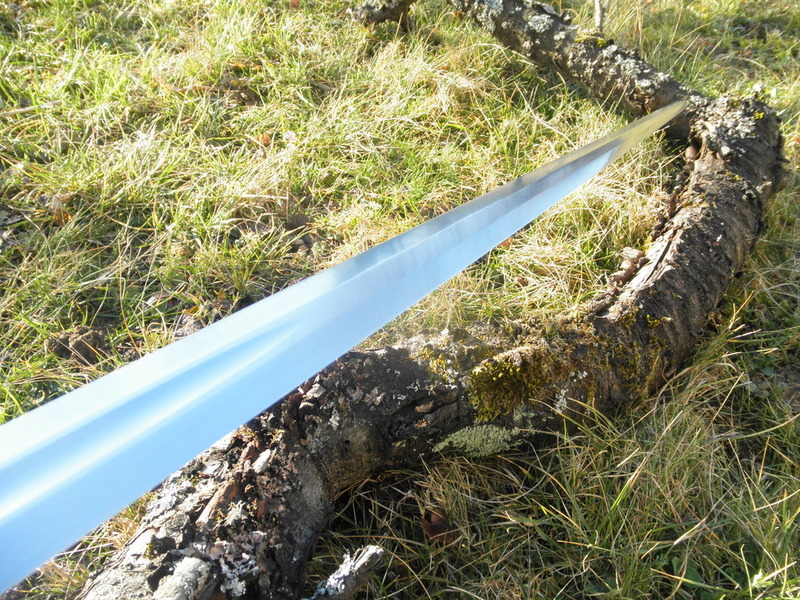 Quick update: I have done some more testing, including some pretty harsh stuff and I am continuously impressed by the sword. It handles very well (getting used to the short handle now), offering excellent point control and good cutting performance all the way up to the point. The stiff blade, other than obviously being an outstanding thruster, is very durable and can shrug off harsh treatment that a thinner XVIII or XII blade would be damaged by. Half swording is also very comfortable with the sword (except for that one moment where I slipped a tiny little bit and cut my hand, lol. Only very superficially, don't worry). There is really nothing in the world of longsword fencing that cannot be done well with this sword and is becoming my go-to longsword, allowing me to keep my other blades pristine. It is getting used and has some marks to show for it now but it happily trudges on. I like the way you describe it. Seems like a sword I would like to use. What harsher tests did you do with it? Mainly pell work on a wooden post as well as cutting some more branches. Naturally I didn't go all out on the pell, stayed well within what a sword can be expected to deal with but it is more demanding than simple test cutting on bottles or tatami mats. The pell should not be hard on the sword at all, it is for training control, you swing and stop opon hitting it. Indeed... just don't cut up your nice one. 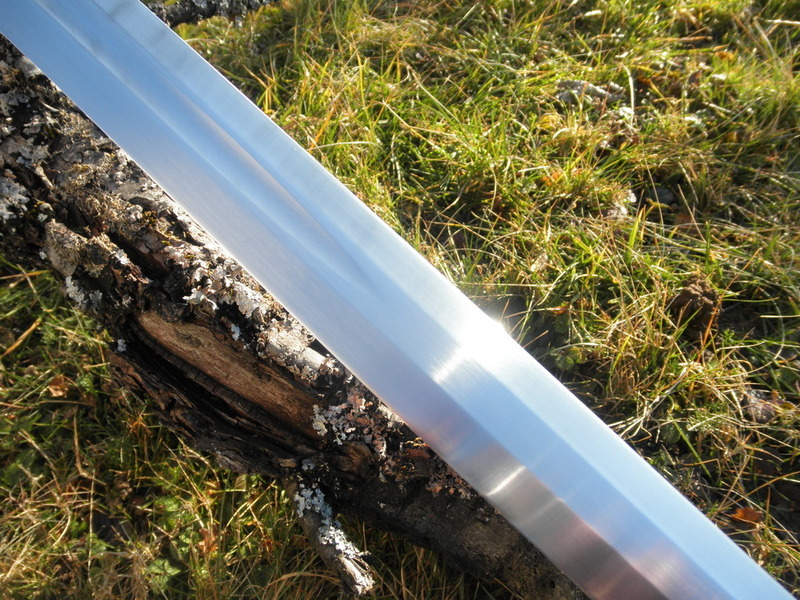 I have the Sempach and really love the blade geometry on these types of swords. Very cool. My only tiny gripe is a kinda wish the sword was just a bit bigger overall. I have seen lots of examples of XVII blades that are just "more" in terms of size which I would prefer. I'm actually going to lengthen the tang a little bit. I can never leave these things alone and I know I'd prefer it with a longer hilt. I can't lengthen it a lot or it will mess with the proportions (and weight distribution) but about 3cm should be possible, both visually and functionally (might have to re-grind the pommel a bit, we'll see).